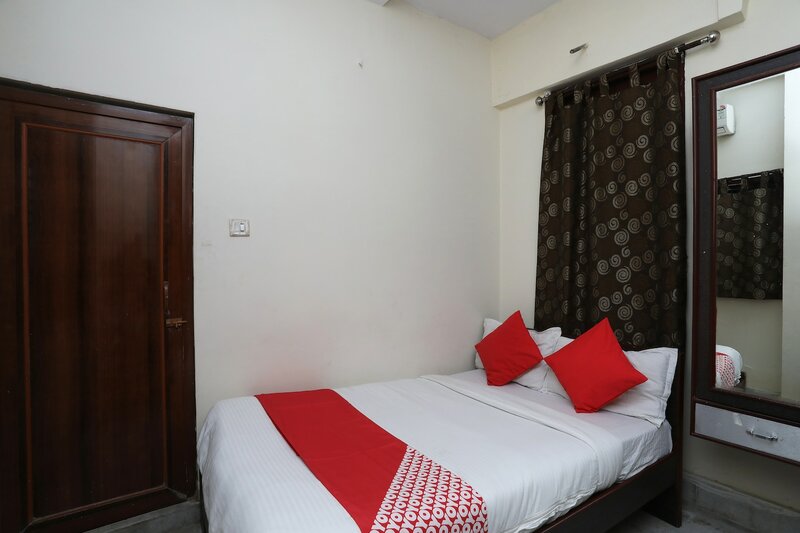 Hotel Raviz Inn is quite famous in the Kolkata hospitality circuit due to its close proximity to a number of important landmarks. It is located on the Ashutosh Banerjee Road in Kolkata. The rooms provided by this hotel are quite comfortable. All rooms have been painted in neutral hues and this color combination is further complemented by the interior decor of the room. The rooms are well-furnished and the wise use of artificial lights make the rooms well-lit. The additional features provided by the hotel are free Wi-Fi, an uninterrupted power backup source, a mini-fridge and a room heater in each room, a common dining room, an elevator facility and card payment in all forms. The front desk service is surrounded by a well-furnished reception and is handled by helpful and experienced staff. The hotel is surrounded by a number of utilities Ashutosh Memorial Hall, Bholagiri Ashram, Harish Park, and Netaji Bhawan.